When Thor Heyerdahl published Kon-Tiki in 1948, the world became enamored with his adventurous expedition across the Pacific in a small wooden raft. The book gave people dreams of adventure, blue ocean waters, and a different lifestyle. Stephen Crane, who opened the Luau restaurant in Beverly Hills, went on to create a chain of Polynesian-themed restaurants throughout the country in 1958, naming them Kon Tiki. Not only were tropical restaurants popping up around the US, but plane travel was becoming more accessible, allowing the average person to travel across the Pacific more easily than ever before. The late 1950’s also brought us the big screen version of South Pacific, along with James Michener’s book Hawaii, and the United States was truly enamored with the allure of exotic island life. 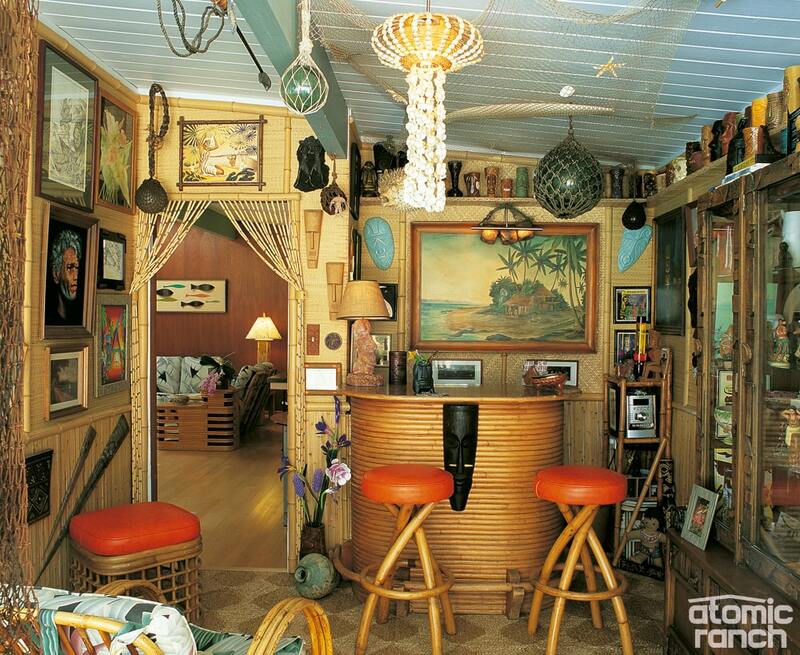 The laundry room of this Eichler home was converted in to an elaborately decorated tiki bar and lounge. Fast forwarding to current times, it’s no wonder that the South Pacific trend so popular during the midcentury would be a theme loved today by Midcentury Modern enthusiasts. Allowing us to feel transported to a different time and place, the enjoyment of both mid-mod and tropical style share the common feeling of escapism. It’s all about creating a feeling. 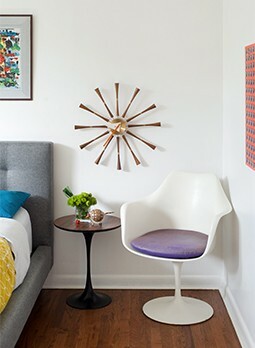 When it comes to home décor, it’s surprising just how well tiki and tropical style can work with mid mod. Pairing lighter bamboo and rattan with bright mod colors creates a fun look, while darker teak and Witco transforms the room in an entirely different way. Whether you’re furnishing your home with an all-over South Pacific theme or just blending in a few pieces, the end goal should always be to enjoy your living space!